Drama Queen stickers now available!! Stickers based on my “Drama Queen” illustration are now available in my store. These stickers are way bigger than my regular ones. 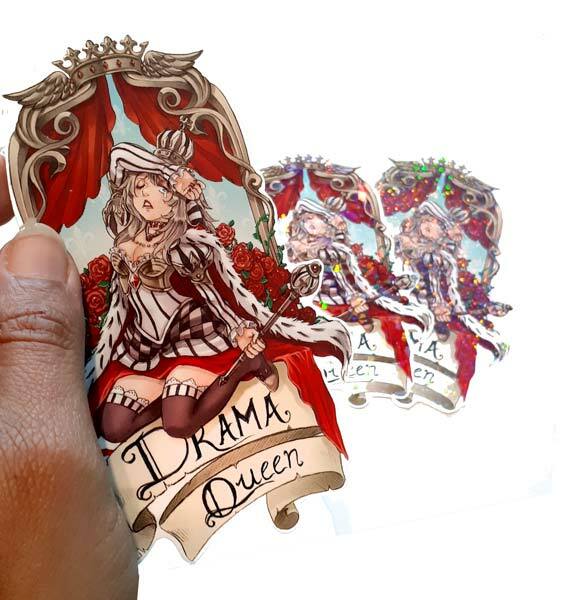 They are available with different finishes as well 🙂 The drama Queen illustration itself has now also been added to the digital gallery. More goodies of this beauty will be added soon. NEW! Toadstool girls stickers in the shop! Mushroom Jenny chibi notepads preorders open!